The Commission is committed to transparency by publishing Annual Reports, plans and procedures and other legal documents in the public interest. 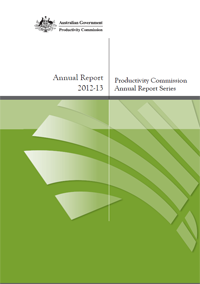 The Productivity Commission Annual Report provides details of the Commission's operations and reflects on current research activities. 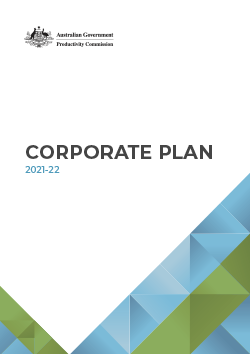 The 2018-22 Productivity Commission Corporate Plan, for the four reporting periods 2018-19 to 2021-22, is presented in accordance with legislation. The Chairman of the Productivity Commission has established procedures for determining whether an APS employee, or former employee, in the Commission has breached the Code of Conduct, and for determining sanctions. A list of Productivity Commission contracts as required by the Senate Order on Government Agency contracts. This agency plan sets out a commitment and approach to addressing awareness, access and opportunities for people with disabilities. The Productivity Commission's Freedom of Information procedures and Information Publication Scheme agency plan. The following tables disclose the remuneration of Productivity Commission senior executives and other highly paid individuals for the relevant reporting period. Productivity Commission expenditure on legal services published in compliance with paragraph 11.1 (ba) of the Legal Services Directions 2005. The Commission encourages people to report suspected serious wrongdoing, and will ensure that those who report, or who are considering making a report, are properly supported and protected from any adverse consequence relating to the reporting. Senate Continuing Order No 10 requires each department and agency to provide on its website an indexed list of the titles of all relevant files, including new parts of existing files, created in the most recent calendar year. This guideline sets out the general policy of the Productivity Commission on the collection, use and disclosure of information.